A youngster’s journey from anti-social behaviour to serious violence can be a matter of minutes. 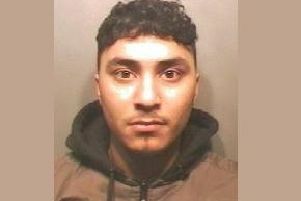 Luton’s youth offending service manager has warned. David Collins said first time young offenders accounted for 82 per cent of those going into custody in 2017. “Five or six years ago, the young person involved in a serious offence I would know them because they would have started as a shoplifter,” he told the borough council’s children’s services review group. “There was a stabbing last year where the young person had never committed an offence before, never been in trouble. He was on his way to college. “The journey from anti-social behaviour to serious violence could be a matter of minutes. The review group was considering the youth justice annual plan for 2018/19, which is a stepping stone to obtaining a grant from the Youth Justice Board (YJB) in April. “In the last two years, we have grown organically with the community safety partnership in terms of our delivery across serious violence. “I’m not talking about young people coming into the criminal justice system or involved in gang associated behaviour with no footprint any longer. “We only knew a quarter of first time entrants two years ago. Now we know three quarters coming in. “It’s using some of the things we’re doing in Luton as best practice,” he added. “Luton has worked very well with the police with Operation Bosun in terms of our gang mapping, which we use to safeguard the communities and safeguard the youngsters involved. “The next narrative around this is exploitation. Young people don’t get involved in this through choice. “They get involved because of their lack of aspirations, social economics, social demographics and that’s exploitation across the board. “Our 15-year-olds who are carrying knives and selling drugs. given a choice they wouldn’t do that. “It’s grown to the point where we are one of the only areas that is able to identify our young people that are on the fringes of it. “We’re in a better position now that when I was here two or three years ago. “We are always saying we need to cut this and that, but we do the best with what we’ve got. “We have young people who’re not on statutory orders, but we know they’re currently being exploited and involved in gang associated behaviour. Stopsley councillor Meryl Dolling, who chairs the group, asked if the young people known to the YOS are evenly spread across Luton. “Some of the most deprived boroughs, where you’ll see quite a lot of the anti-social behaviour there, you won’t see too much of the serious youth violence,” said Mr Collins. “The reality is the young person could be exploited in any walk of life. Mr Collins said they adopt “a whole family approach” in attempting to resolve issues. “One of the gaps we have in Luton at the moment is the 18 to 25-year-olds talking about community safety work not youth justice,” he explained. The Home Office released £11m in additional funding for Police and Crime Commissioner areas in England and Wales.